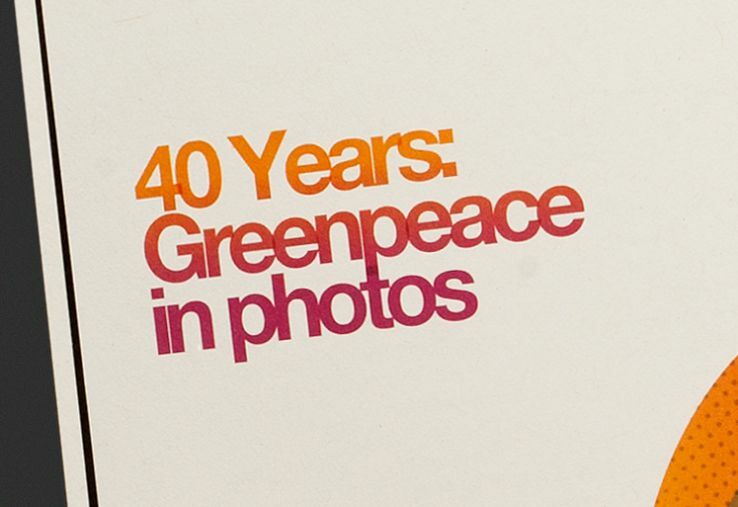 In conjunction with the 40th anniversary of Greenpeace, a special edition of Planet Greenpeace was created to help celebrate 40 years of Greenpeace’s accomplishments. 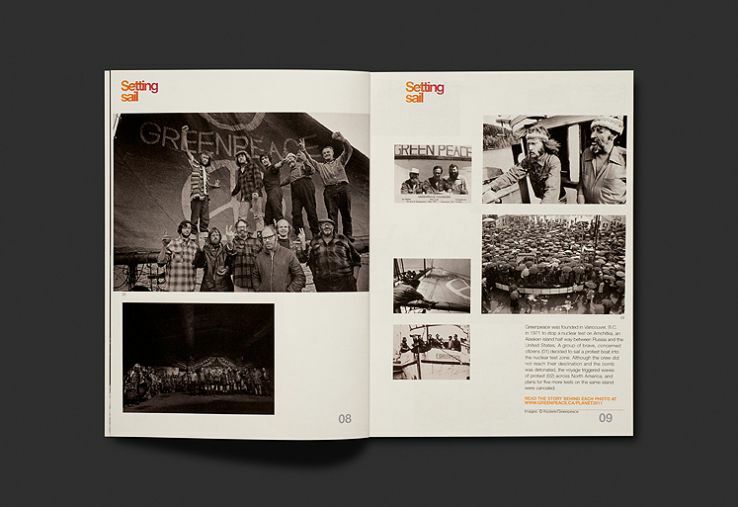 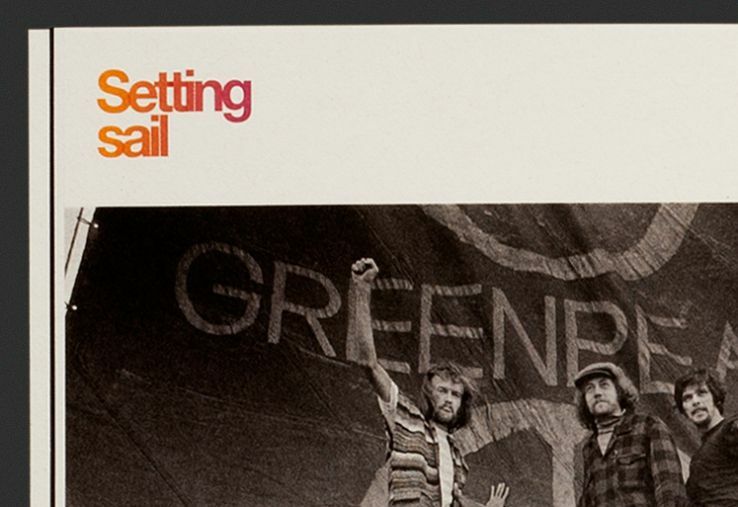 The book gives a unique look at Greenpeace through images from its many campaigns and actions, as well as the scientific research, exploration, mapping and technical innovation that has made Greenpeace what it is today. 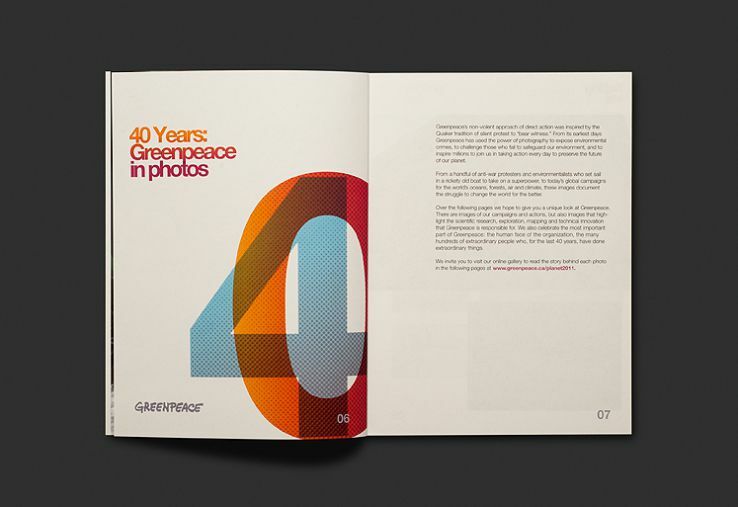 The book also celebrates the human face of the organization, the many hundreds of extraordinary people who, for the last 40 years, have done extraordinary things. 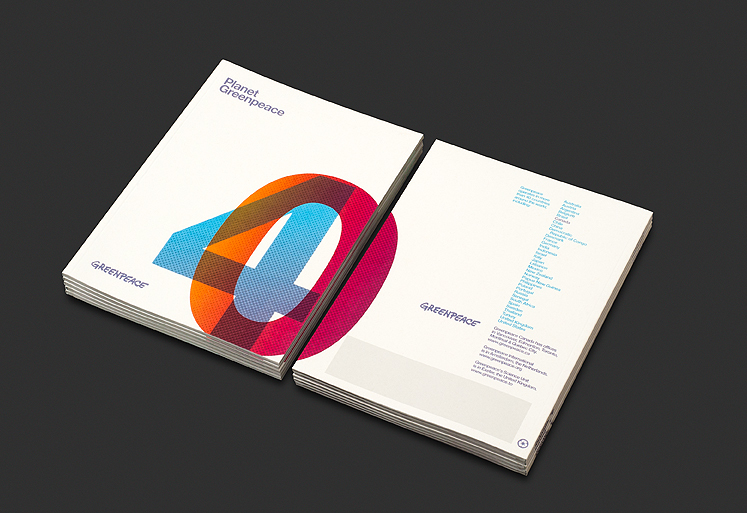 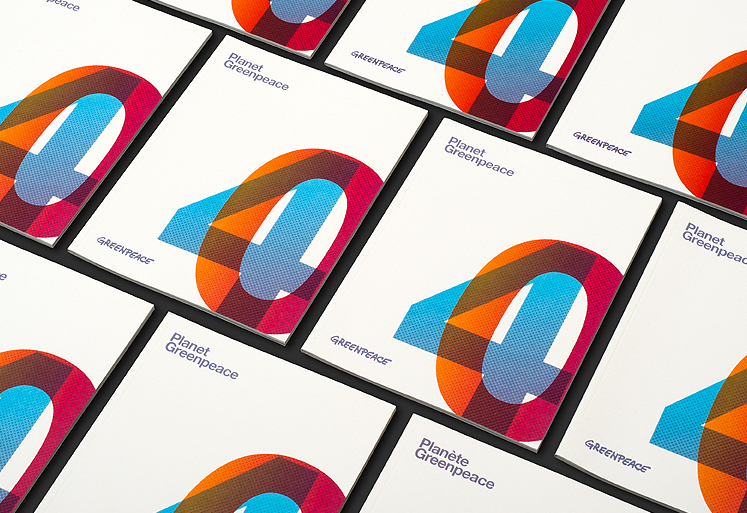 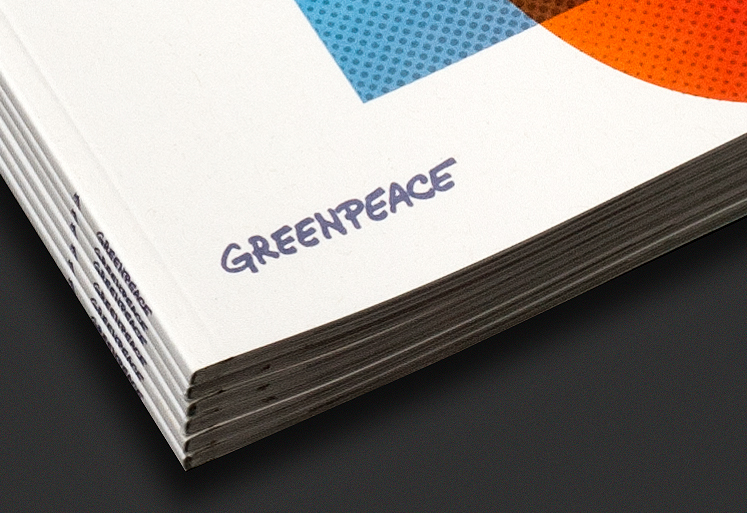 typotherapy took a typographical approach to highlight the 40 years of Greenpeace. 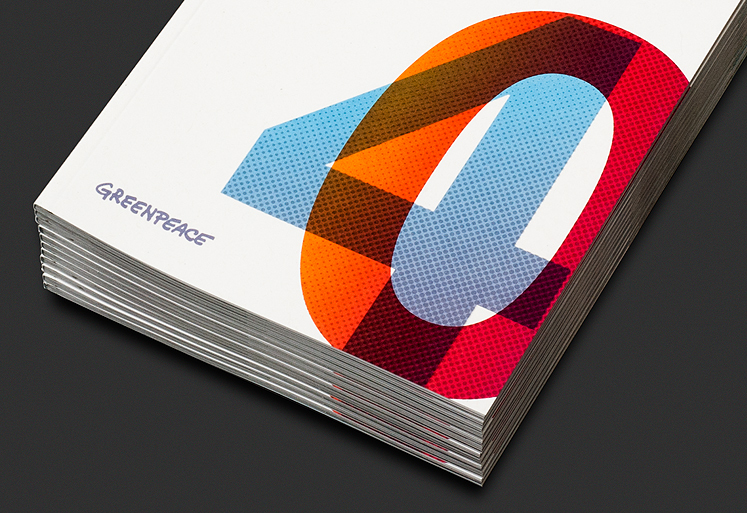 A colourful 40th halftone overlapping type treatment was used along side overlapping titles for each section of the 48-page book. 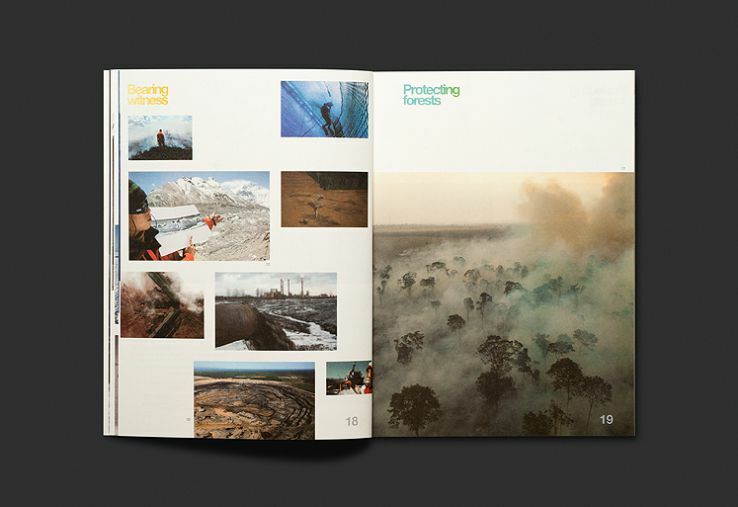 This made for a provocative juxtaposition along with plenty of white space to showcase the images. 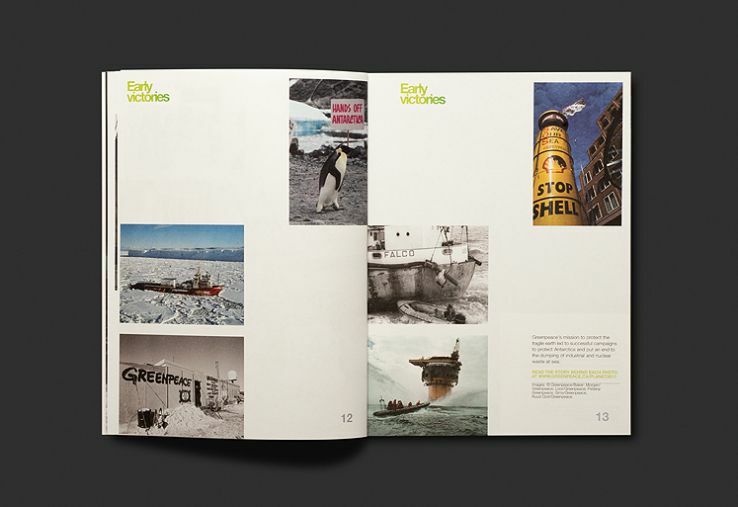 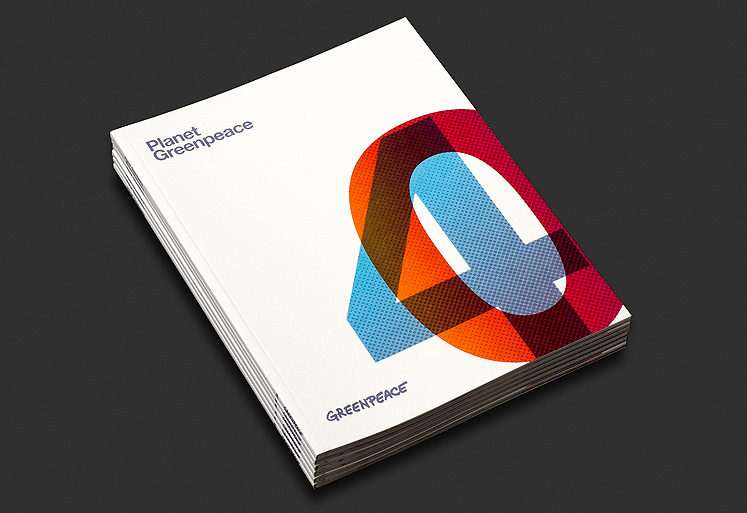 The new design of Planet Greenpeace was also inspired by Greenpeace’s traditions and the powerful photography they use to expose environmental issues.